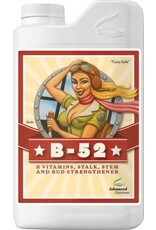 Our B-52 formula contains kelp and seaweed extracts. These extracts contain a variety of compounds, that increase cell replication and stimulate roots and stems. Enhances systemic resistance so your plants are less susceptible to common grow room contaminants that often disguise themselves as nutrient disorders while insidiously harming your crops. An essential substance that contributes to your plants’ metabolism and other basic life functions. Insufficient amounts of B3 lead to slow growth, poor yields and lowered disease resistance. Involved in enzymatic activity, carbohydrate energy production and amino acid synthesis. All three of these areas are implicated in the basic health and productivity of your plants. 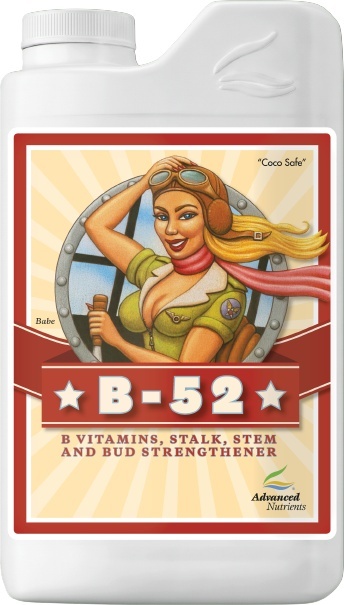 B-52 works well for you in all types of growing systems and root zone material, including aeroponics, rockwool, soil, coco coir, hydroton, ebb and flow, and all the other hydroponics gardening methods.